The system uses fabric painted graphics for ease of use and allows the system to be packed into a small hard case. The unit is rounded off with a wide range of accessories to complement the ease of use. These accessories include stainless brochure holders and info frame attachments, a table and shelves. 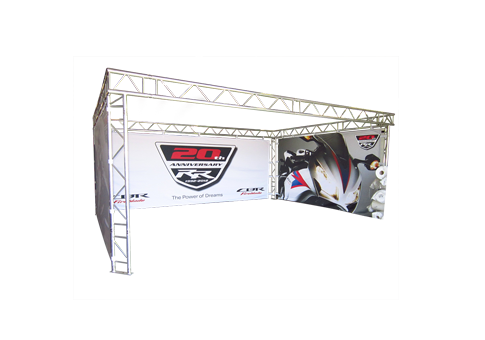 Two various size foot bases make the unit adaptable for indoor exhibitions.